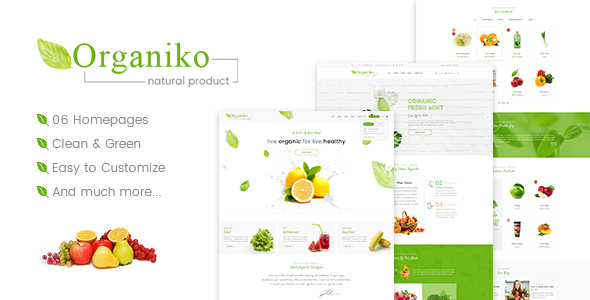 This theme contains everything you need: 05 professional design homepages, 25+ unique shortcodes, galleries, blog, testimonials, products catalog, product page, about, shoping cart, order and other. Also the theme includes additional pages with different content elements such as typography, headers, icons, lists, tabs, sliders, 404 page, and many others. This theme is compatible with a bundle of the premium plugin: WPBakery Page Builder. This plugin is easy to use drag and drop page builder that will help you to create any layout you can imagine fast and easy. No coding skills required! 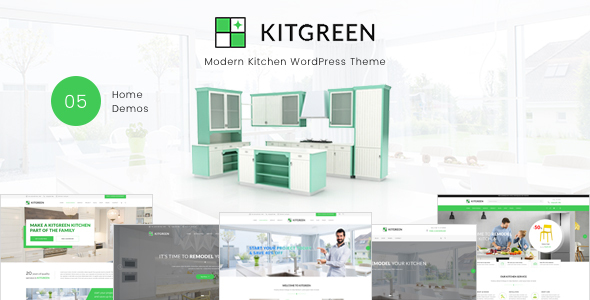 KitGreen Child Theme  Customize or tweak an existing WordPress theme without losing the ability to upgrade KitGreen theme. Built on Twitter Bootstrap  KitGreen uses Twitter Bootstrap. This means that a range of shortcodes are automatically supported. For ease of use you can use the Visual Composer, Easy Bootstrap Shortcode or any other plugins to easily add visuals to your website. Header stick  Sticky Header is a godsend for those people who are tired of scrolling up from the bottom of the webpage to select an other menu item. KitGreens main menu with logo will be following when you scroll and always be at the top of the screen. Now the viewers of your site will be thankful for the fast and easy navigation. And of course, this sticky header feature can be easily enabled/disabled in options panel of your theme.